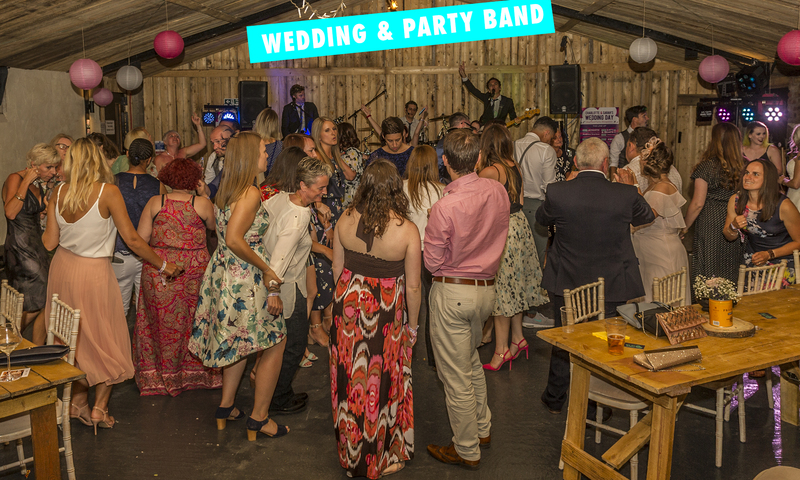 We are ‘Punch The Air’ a Midlands wedding band that specialise in weddings, birthdays, corporate events, fundraisers and parties. We make sure everyones up off their seats singing, dancing and partying all night long. 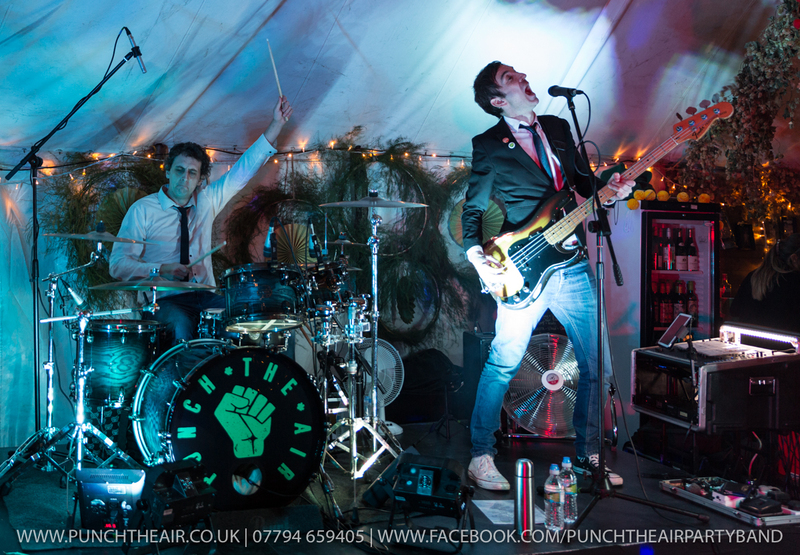 ‘Punch The Air’ have many years experience performing live to all sizes of crowds at various different types of events. 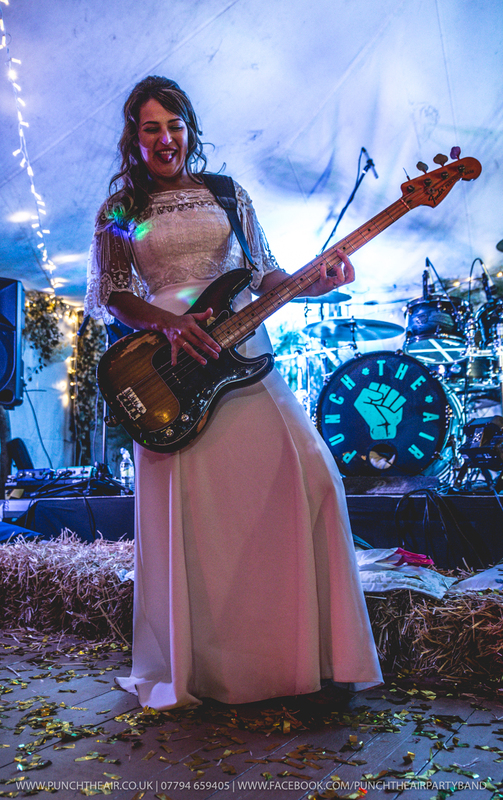 All of our full band packages come with 2 x 45 mins of live performances (a fantastic mix of music from all decades – So thats modern back through to the 1950s), PA and lighting. We even include DJ services, consequently you don’t need to spend extra money on booking a separate DJ. 27th March 2019 – Here’s what happens at a ‘Punch The Air’ wedding. 14th February 2019 – Best of festival performance. 25th January 2019 – Here we are with our first new video of 2019. Lindsay booked us for her 40th birthday party at Brewhouse & Kitchen, Lichfield and as you will see from the below video we all had an amazing time. Below you will see lovely video testimonials from Vicky & Ashley and Sarah & Charlottes weddings. We pride ourselves on producing professionally shot live videos and Vlogs. All our videos contain 100% fully live audio and video. They are the exact sights and sounds of what you’ll get when you book ‘Punch The Air. We don’t add studio recorded audio over the top of studio shot videos. What you see is us 100% live performing in front of audiences in real party scenarios. Check out the lovely things previous clients and guests have said about us on our testimonials page here, then head on over to our repertoire page to see what kind of music we perform (Hint: Its very well know pop music from the last 60 years that all your guests will know and love). We don’t want to blast you with too much info on our home page, so if you haven’t come here via a recommendation from someone whose seen us previously or if you’ve not heard of us before then head on over to our about page to find out more. Why not check out our Facebook page here for updates and photos from many of our latest performances and to hear more about our Midlands wedding band. Get in touch here now to book us.